To diagnose a mental disorder or evaluate a disability claim, clinicians must assess functional impairment—not just the presence of symptoms. 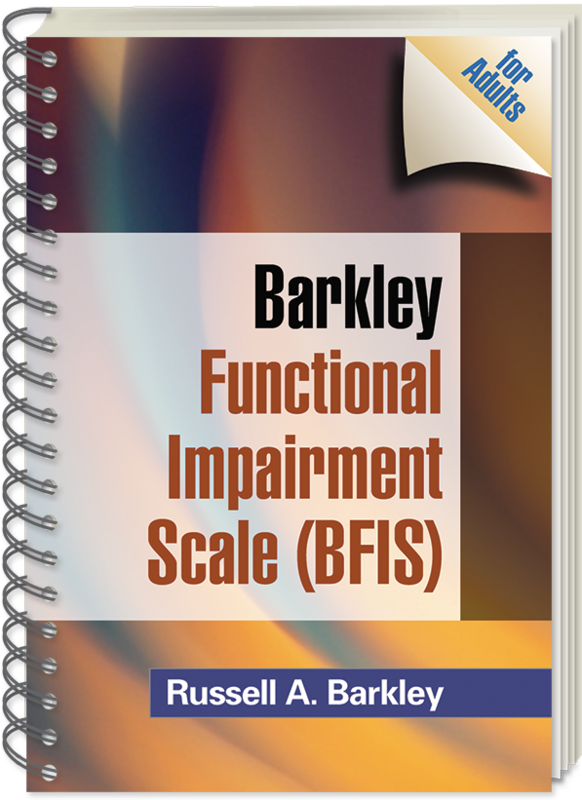 Meeting a key need, the Barkley Functional Impairment Scale (BFIS for Adults) is the first empirically based, norm-referenced tool designed to evaluate possible impairment in 15 major domains of psychosocial functioning in adults. Featuring both self-report and other-report forms (for example, spouse, parent, or sibling), the BFIS is reliable, valid, and user friendly. The long version takes the average adult 5-7 minutes to complete, and the Quick Screen takes only 3-5 minutes. Complete instructions for scoring and interpreting the scale are provided. What does it do? : Assesses psychosocial impairments in 15 domains of major life activities. Administration Time: Long Form: 5-7 minutes. Quick Screen: 3-5 minutes. 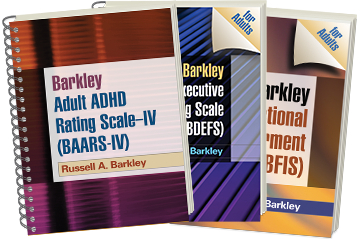 See also the Barkley Adult ADHD Rating Scale—IV (BAARS-IV), which measures current and recollected ADHD symptoms, and the Barkley Deficits in Executive Functioning Scale (BDEFS for Adults), which assesses clinically significant executive functioning difficulties. Enhancing the convenience and value of the BFIS, the limited photocopy license allows purchasers to reproduce the forms and score sheets without the expense of reordering materials from the publisher. The large format and sturdy wire binding facilitate photocopying.